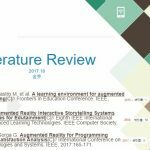 This paper was accepted in 13th International Conference on Computer Supported Collaborative Learning (CSCL 2019). Here is the abstract. 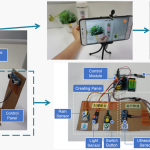 In this paper, we present CoproStory, a collaborative tangible programming tool to support children learning programming. 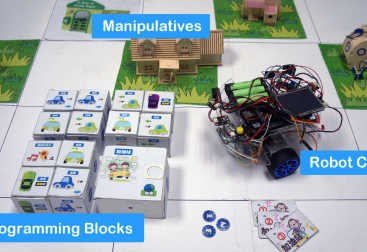 In recent years, many collaborative tangible programming tools were developed for children. Compared to the other tools, Sync Blocks which were designed to coordinate children’s programming were used in our tool. 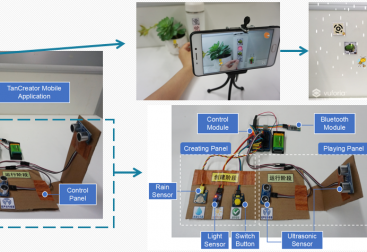 The tool consists of two parts: tangible programming blocks and game tasks. 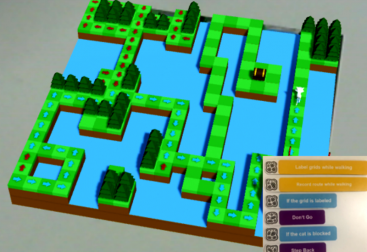 Game tasks are provided with 3D cartoon story scenes on computer screen and need to be finished by collaborative programming with our programming blocks. To evaluate our tool, a contrast user study was conducted with 28 children aged 6 to 10. The results demonstrated that CoProStory could support children to program collaboratively and children had a more positive attitude toward programming with Sync Blocks.